The Great War and the Great Republic: The American Experience of World War One. Our colleagues in the 2nd Air Division Memorial Library, based at the Millennium Library in Norwich, have organised what sounds like a fascinating talk for the evening of November 1st. 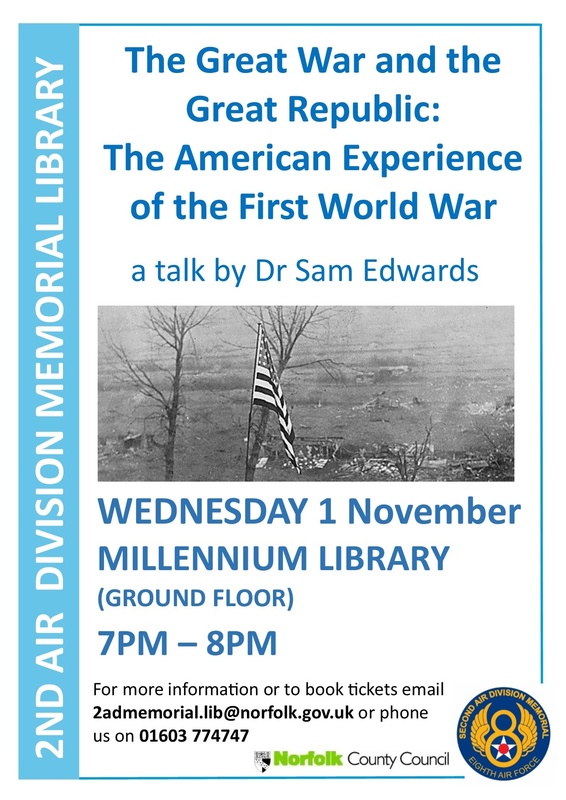 In this centenary year of the United States entering the Great War, join Dr Sam Edwards (Senior Lecturer at Manchester Metropolitan University) for this fascinating talk about the American experience of the First World War. This entry was posted in Events and tagged America in WW1, lecture. Bookmark the permalink.